Mesic forests and forest edges, less often river bottoms; apparently uncommon. 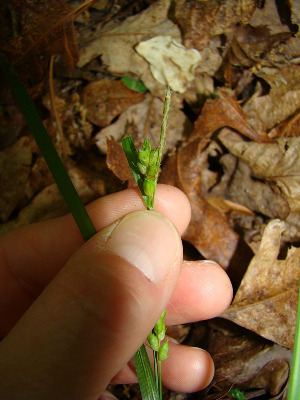 Very similar to Carex grisea; the clearly trigonous perigynia of this species are best seen in the field with mature material. MICHIGAN FLORA ONLINE. A. A. Reznicek, E. G. Voss, & B. S. Walters. February 2011. University of Michigan. Web. 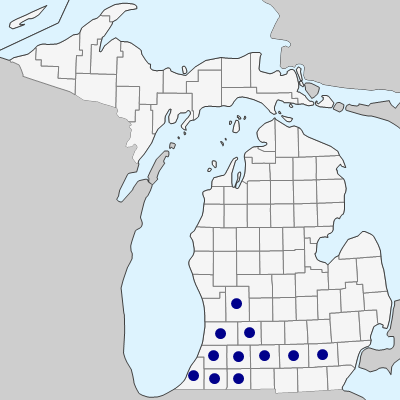 April 21, 2019. https://michiganflora.net/species.aspx?id=903.